We’re pleased to say that we have completed our shop move and thank all our valued customers for their patience during our move. We look forward to welcoming you, our valued customers to our new shop, which benefits from two public car parks close by. These car parks operate a 2-hour free parking when you use the disk, which can be obtained free of charge from most shops or from Littlehampton Tyre and Exhaust centre, which is located in St Martin’s Car Park. We offer a free collection and return service for our customers living in our local, surrounding areas – Rustington, Arundel, Bognor Regis, Felpham, Angmering, Middleton-on-Sea, Goring-by-Sea. 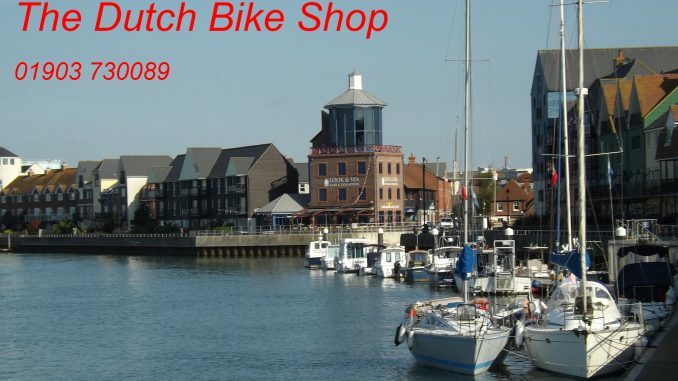 We can collect your bike from other areas including – Chichester, Worthing and areas in between – £5 each way charge applicable.